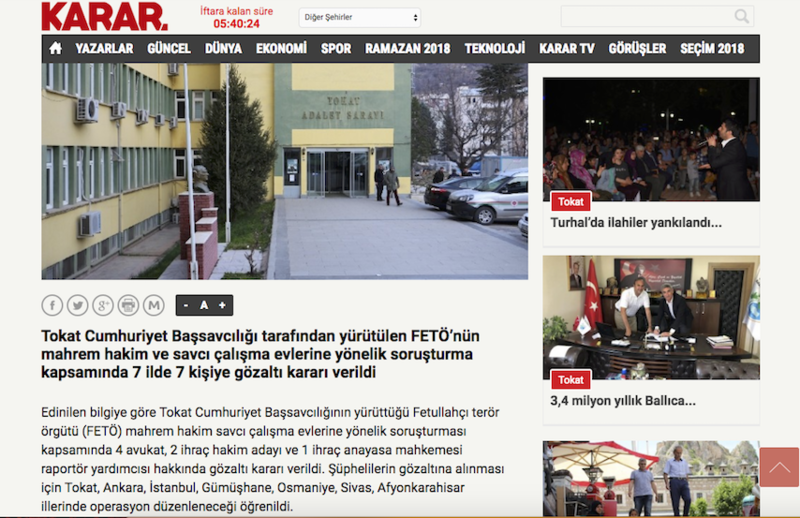 Detention warrants have been issued for 7 people as part of an investigation into the alleged followers of the Gulen movement in Turkey’s Tokay province. A Tokat prosecutor, on Friday, issued warrants to detain 4 lawyers as well as 2 judge candidates and 1 assistant rapporteur for the Constitutional Court who were earlier removed from their posts over Gulen links. Police carried out operations in Ankara, İstanbul, Gümüşhane, Osmaniye, Sivas and Afyonkarahisar provinces to round up the suspects. 5 out of 7 were detained at the time of writing. More than 150,000 people including thousands of judges and prosecutors have passed through custody while 80,000 were remanded in pre-trial detention since the summer of 2016. Meanwhile, over 150,000 have lost their jobs since then.